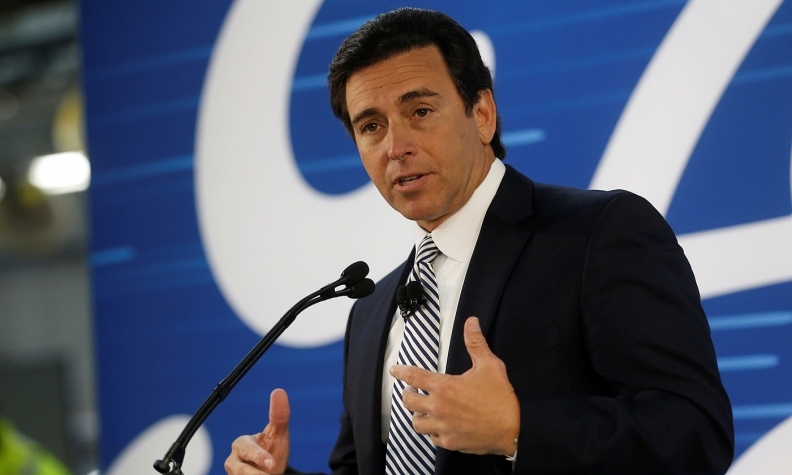 Former Ford Motor CEO Mark Fields has been named a senior adviser at private equity firm TPG Capital, where he will be tasked with helping reinvent companies in the way that he attempted to transform Ford. The company, which says it has invested more than $50 billion of equity capital since 1993, tapped Fields because of his experience in manufacturing, retail, finance and technology and hopes that he'll expand its industrial operations. TPG Capital's investments include Burger King, motorcycle maker Ducati, and retailers J. Crew and Petco, according to its website. Fields, 56, begins his new role Nov. 1 and will visit the company's business operations around the country in cities such as San Francisco, New York, Boston and Austin, Texas. "New technology is driving change and creating opportunities for growth and value creation throughout business operations," Fields said in a statement. "That gives us the opportunity to rethink traditional industrial applications, such as supply chains, like never before. Having spent my career in an industry that was, and continues to be, on the leading edge of technology and disruption, I look forward to working with TPG to find new opportunities to create change and innovate throughout the industrial sector." TPG said it plans to invest in outsourced services, logistics, packaging, mobility, resource efficiency and a variety of industrial technologies. Some of its recent investments include Transplace, a technology-enabled supply chain logistics company. Jack Daly, a partner at TPG, called Fields "an invaluable addition to our team." Fields was named Ford's CEO in July 2014 but was ousted in May after the automaker's board of directors grew impatient with the company's slumping stock price and Fields' vision for its future. He was replaced by former Steelcase CEO Jim Hackett. Under Fields, Ford earned record annual profits and began the transition to offer new mobility services, but an apathetic Wall Street never bought in, and Ford's shares fell nearly 40 percent. He could end up receiving about $57.5 million in compensation from Ford. He also sits on the board of directors at IBM.